Finding the best carpet or floor covering for the best price is often a challenge. Builders’ Floors & Interiors has a large showroom full of major name brands such as Shaw, Mohawk, Masland, Gullistan, Tuftex,Dixie, Beaulieu and others. They offer the best fibers for your use in your home. Stainmaster fibers are constructed of 6.6 fibers, the toughest and most stain resistant in the industry. Mohawk offers the Smart Strand Triexta Polymers that are stain resistant and tough. Builders’ Floors and Interiors can help you sort out these carpets and find the one that is the best for your home and needs, whether it is a house full of kids, dogs, and cats or for just yourself we have the answer for you. We also offer name brands of Vinyl from Mannington and Armstrong and Laminates from Uniclic, Mohawk, Mannington and more. Solid vinyls are becoming popular for their durability. You can see that there is a wide range of products to choose from for your home. Builders’ Floors’ personnel have the experience and knowledge to help you make the best floor covering and color selections for your home. We can coordinate your floors, walls, countertops, bath tiles, fireplaces; everything that makes your home unique and special. We will make decorating your home fun and rewarding rather than an overwhelming challenge! Come see us at our showroom near the Wolf Chase Mall. 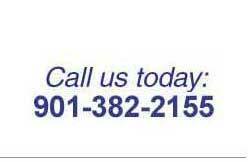 Call or email us for an appointment @ 901-382-2155 Or gwenm@bellsouth.net.